« Older: How much does it cost to start with virtual assistance? Org mode for Emacs is powerful and flexible, which can make it intimidating for newcomers. 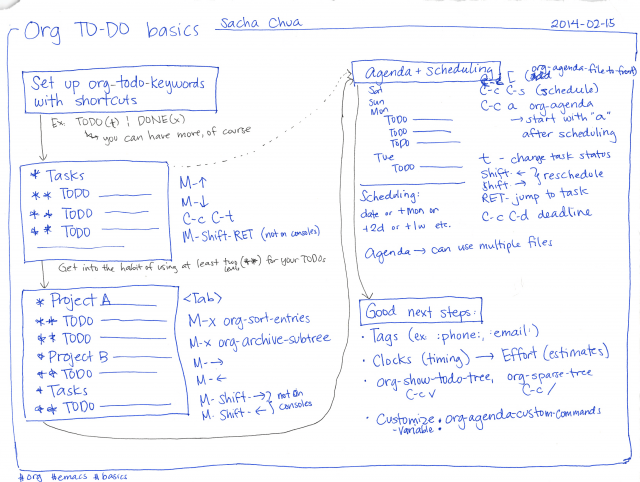 After helping several people with essentially the same problem–an unmanageably large heap of tasks–I thought about what might help people get the hang of the key features of Org Mode slowly. Here are some general ideas. 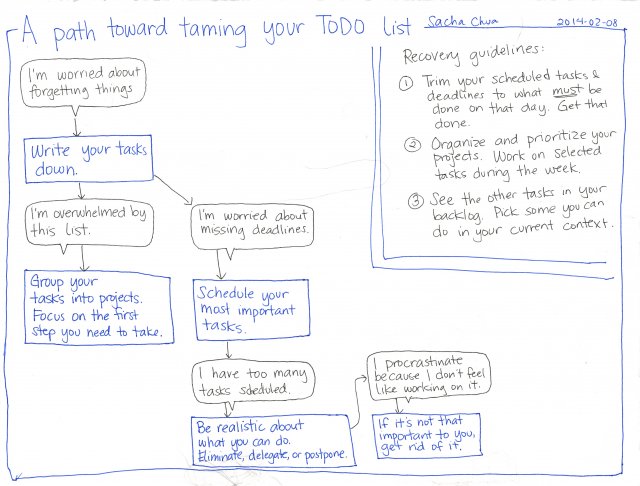 Start by writing your tasks down. Group them into projects. Once you get the hang of that, schedule your tasks. You might find yourself overestimating what you can do in a day, so reschedule or get rid of tasks as needed. Here’s a visual overview of how you can apply that to Org, starting with simple outlines and moving on to scheduling. 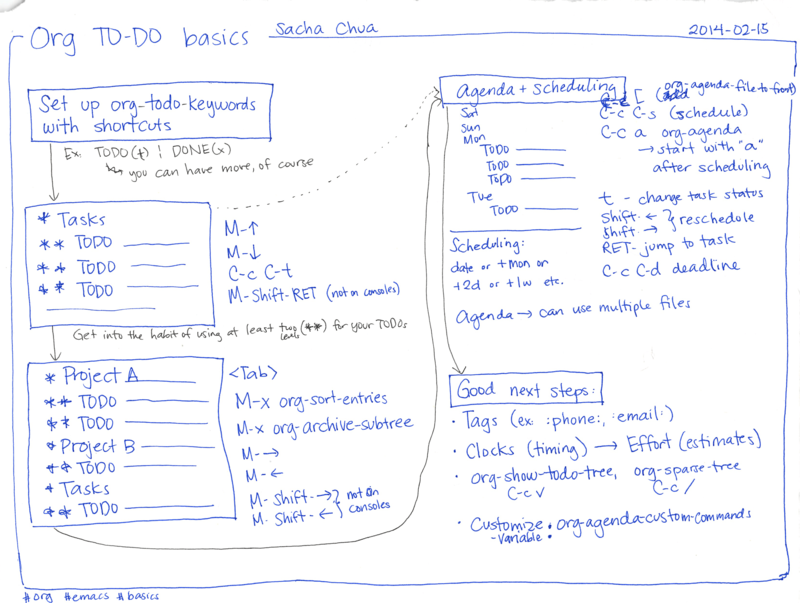 I’ve started to put together an outline/draft for A Baby Steps Guide to Managing Your Tasks with Org Mode, which you can find at sach.ac/baby-steps-org-todo. Comments and questions welcome!